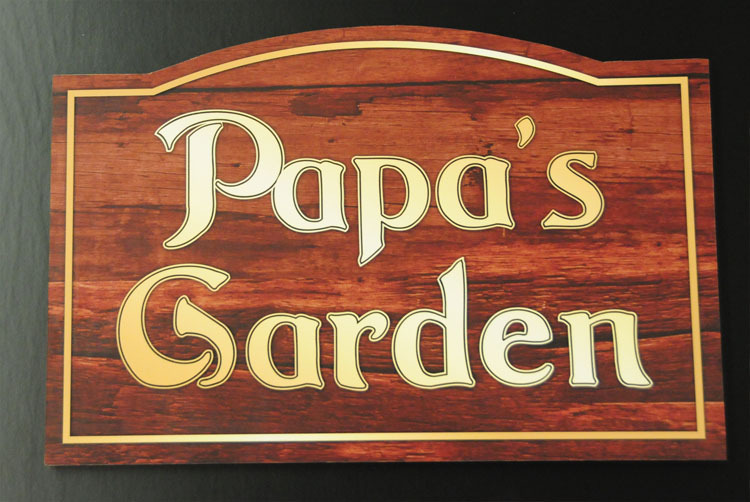 This stylish Painted MDO Plywood sign is made with MDO plywood that is painted and sealed. The Painted MDO Plywood sign comes with digitally printed graphics on premium outdoor vinyl. MDO Sign with genuine simulated woodgrain. The MDO wood is what the sign is composed of. The face is actually a vinyl appliqué. Painted MDO Plywood. The sides and front border are painted. The graphic is actually a vinyl appliqué.